PHASE 2 CONSTRUCTION NOW COMPLETE! 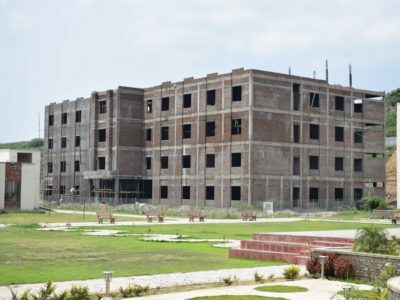 By the blessings of the Almighty and the generous support of our donors, construction of the boys hostel for 500 orphan boys and an additional floor on top of the existing mess building (dining hall) is now complete. 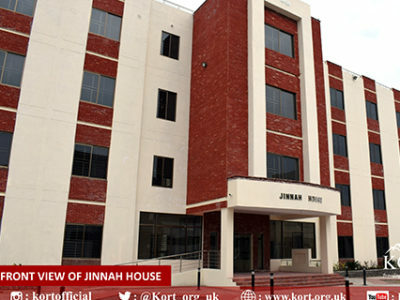 Jinnah House is what the boys hostel will be known as in honour of the founder of Pakistan, Muhammad Ali Jinnah. 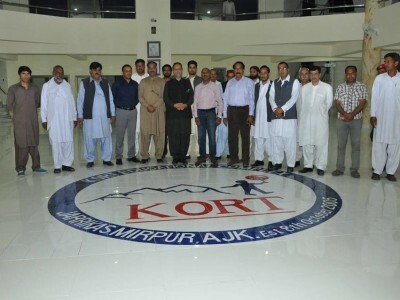 The unique concept of KORT along with the honesty, dedication and passion of our team has also caught the attention of senior government and Army officials of Pakistan including the honourable president of Azad Jammu and Kashmir, Sardar Masood Khan, who is also the chief Patron of KORT. At KORT, our commitment to improve the personal development and self confidence in our children starts from the moment they walk through our doors. TIME TO BRIEF THE PRIME MINISTER! 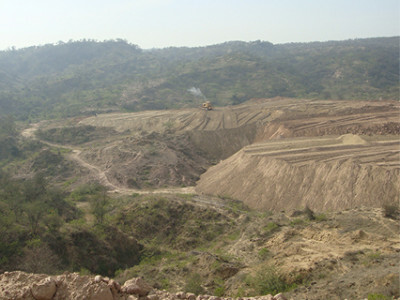 KORT chairman Ch. 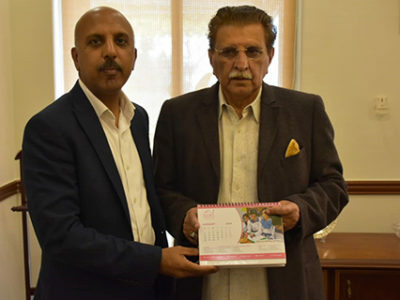 Mohammed Akhtar briefed our keen supporter and Prime Minister of Azad Kashmir, Raja Muhammad Farooq Haider on the latest progress of KORT. As always the honourable PM pledged his support and gave his blessings for the future projects of KORT. Winter can be challenging, but with the right precautions, the hardships can be eased. 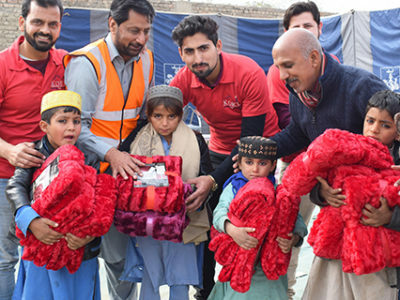 KORT was on hand again distributing thousands of warm blankets to the poor and needy families of Mir Ali and Miran Shah in Northern Waziristan during January 2019 with the support of the Pakistani Army. 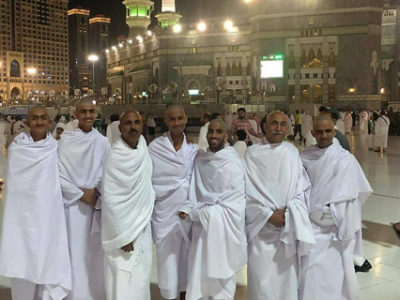 Thanks to our generous donors, 11 orphan children were blessed to perform Umrah and make dua for their loving sponsors in December 2018. 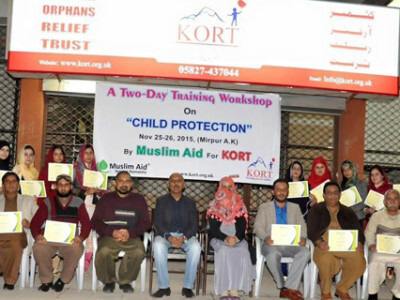 This was the 3rd year running that KORT was able to arrange this blessed trip with the support of our donors. Thank you to Mr Akbar Moosa and family of Durban, South Africa and Brother Imraan Karim of Dubai, UAE for gifting KORT this coaster from Japan. May the Almighty accept this gift from you as Sadaqah-E-Jariyah for you and your families. ALONE WE MAYBE STRONG, TOGETHER WE ARE DEFINITELY STRONGER! Very rarely would you find high ranking government and Army officials take out their time to visit charitable organisations. 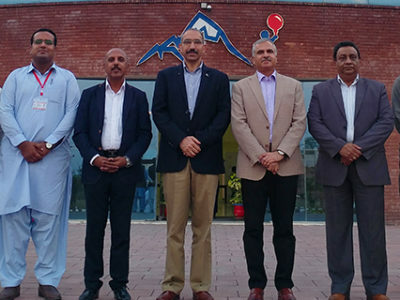 KORT has been blessed with the support of Senior Officials and High Ranking Officers from the Pakistani Army due to the honesty of KORT and the high standards of care for orphan children. 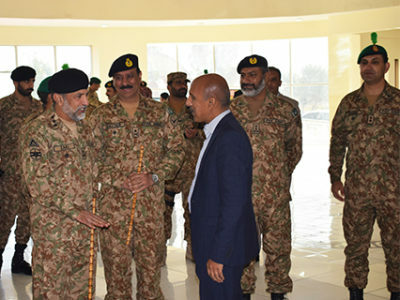 Lt Gen Sher Afgun also visited KORT in November 2018 accompanied by Maj Gen Muhammad Imtiaz Khan to see the progress and facilities of KORT. Impressed by the standards of care for orphan children, Lt Gen Sher Afgun pledged his support and looked forward to future collaborations with KORT. KORT was also blessed to have Corps Commander Lt Gen Nadeem Zaki Manj and the GOC of Mangla, Maj Gen Nayyar Naseer visit KORT. 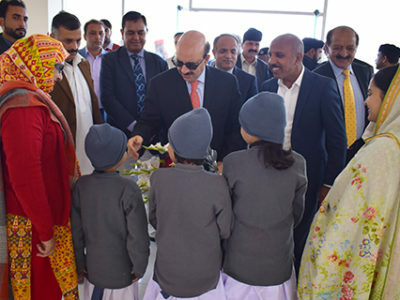 They were also amazed by the standards of the facilities and care for orphan children and pledged their support for the institution. 8th October 2018 marked 13 years since the devastating earthquake that struck Azad Kashmir and also 13 years since the inception of KORT. 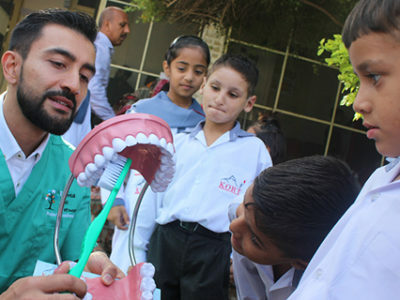 The DAN Team were back at KORT for the orphan children’s annual dental check-up. Thank you Dan Team, keep up the great work and hope to see you again later this year. 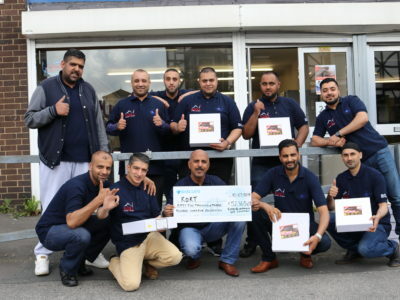 A massive thank you and well done to our Muskorteers from across the country who raised a massive £56,820 by selling delicious cakes during our cakes4orphans Ramadhan campaign. 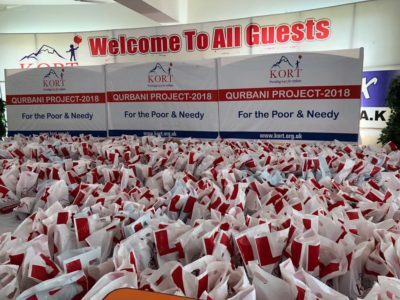 This year, we were able to implement 32 Qurbanis at our complex, which resulted in the distribution of over 1500 2.5kg meat packs that benefited over 9000 vulnerable people who were able to experience the joys of Eid-Ul-Adha! 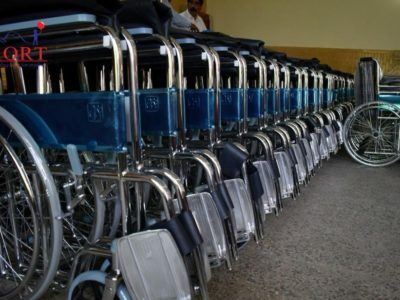 As part of our commitment to our 'Turning Disability into Ability' program, KORT distributed a further 65 wheelchairs amongst the disabled and needy people of the Kotli district of Azad Kashmir during September 2018. 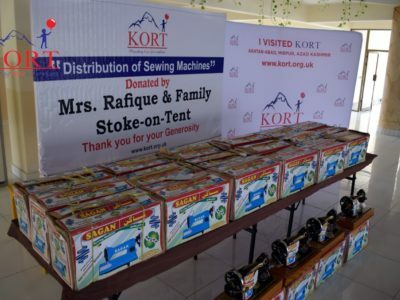 More than 30 sewing machines were distributed at the KORT Educational Complex in Akhtar-Abad, Mirpur, Azad Kashmir in September 2018 amongst the widows and needy women of Mirpur through the support of our kind donors. 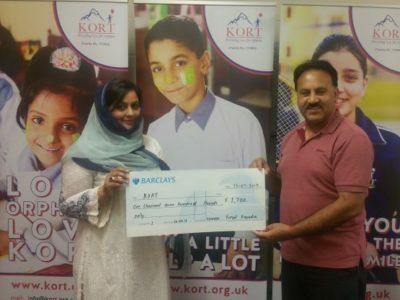 A big thank you to Sabaah Abidali Ramzan from the KORT management team for her efforts to raise funds for the orphan children in our care. 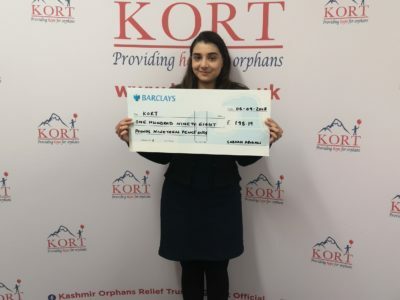 A big thank you to Furyal Kapadia from KORT management for her efforts to raise funds for the orphans in our care. 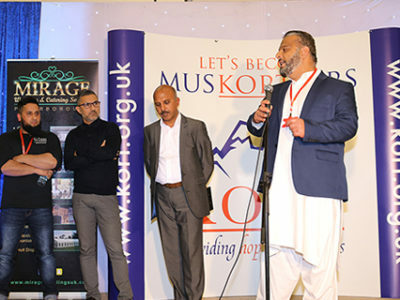 In January 2018, KORT hosted a recognition event in Bradford to sincerely thank all of our MUSKORTEERS from all over UK, who have helped KORT fundraise and raise awareness in their local towns and cities and transform the lives of the orphan children in our care. 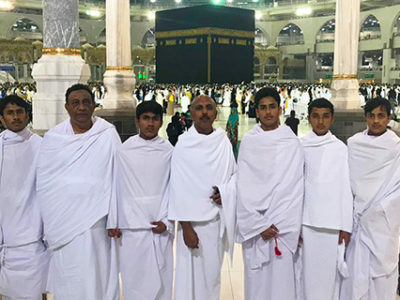 A very special day for 12 orphans of Kashmir Orphans Relief Trust on the 20th of December 2017, as they were blessed with the honour of performing Umrah in Makkah, Saudi Arabia and paying their respects in Madinah to the Holy Prophet Mohammed (peace and blessings upon him). 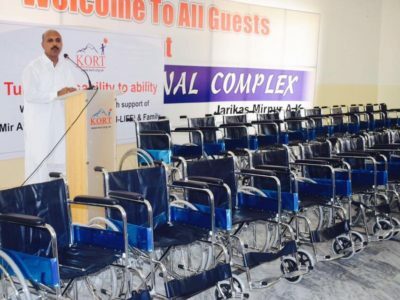 KORT has been blessed with the opportunity to provide WHEEL CHAIRS for disabled children and adults. Alhamdulillah KORT did a Qurbani of 24 Bulls and 2 Goats during Eid ul Adha 2017. The meat was distributed to over 1100 poor and needy families in the surrounding areas. 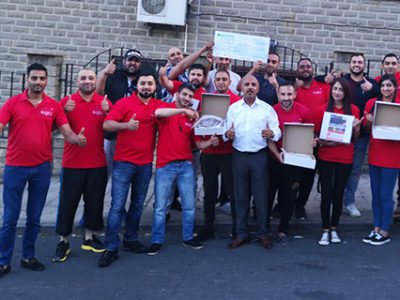 KORT has received a cheque of more than £51,000 after a group of fundraisers from Bradford sold cakes during the Holy month of Ramadhan. 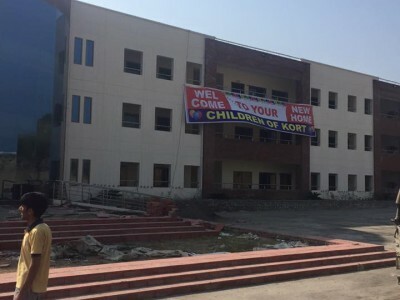 The girls hostel at the KORT educational complex in Mirpur, Kashmir is progressing very well and fast with the support and prayers of the donors who have been contributing wholeheartedly for this blessed project. 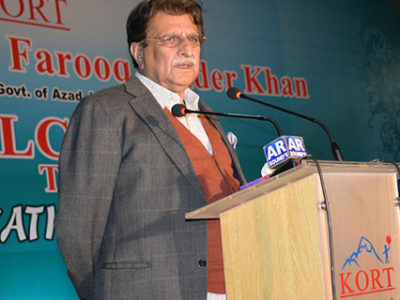 It is not often that you see Prime Ministers pledge their support for NGO's and charities, yet KORT was honoured to host the Prime Minister of AJK, Raja Farooq Haider, who came to see for himself how KORT is changing the lives of Orphan children. We would like to thank all of our donors, supporters and MUSKORTEERS in Peterborough for making the event a massive success. 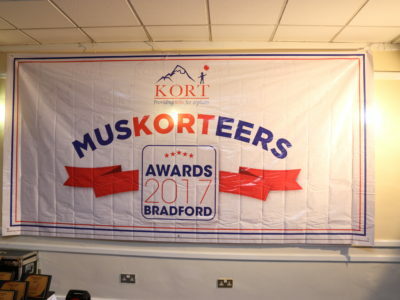 In January 2017, KORT hosted a recognition event in Bradford to sincerely thank all of our MUSKORTEERS from all over UK, who have helped KORT fundraise and raise awareness in their local towns and cities and transform the lives of the orphan children in our care. 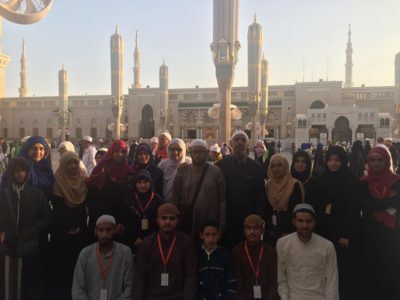 By the blessings and will of the Almighty, 11 orphan children from KORT were blessed by visiting Makkah and Madinah and performing Umrah between 21 December 2016 and 04 January 2017. 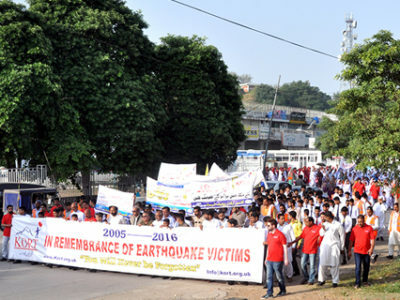 08 October 2016 marked 11 years since the tragic earthquake of 2005 which claimed thousands of lives all over Azad Kashmir. 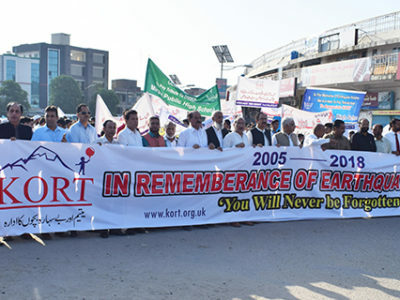 KORT held an annual rally in Mirpur to remember and pray for those who lost their lives. 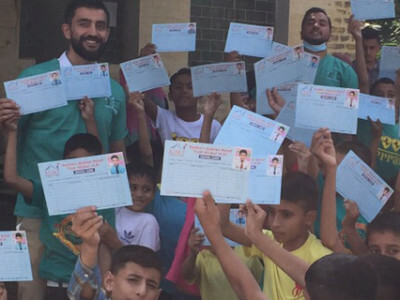 Dentists from the Dental Aid Network (DAN), UK, were back at KORT in October as part of their dental mission and collaboration with KORT to provide dental checks and treatments for the orphan children. We pride ourselves on the fact that we treat the orphan children in our care just like we treat our own children at home. 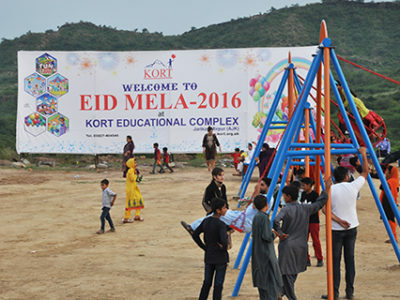 For this reason we decided to hold an Eid Al Adha Mela (funfair) on the safe and secure grounds of the KORT Educational Complex for the first time as there isn’t a big enough park in Mirpur to host all of our orphan children all at one time. 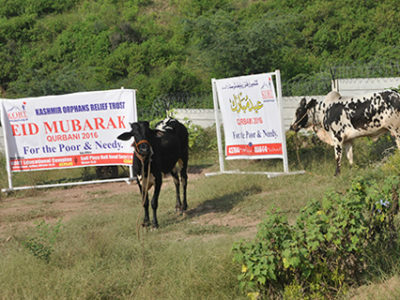 Alhamdulillah, with the support of our donors, QURBANI meat was distributed amongst hundreds of poor and needy families in the region of Mirpur. 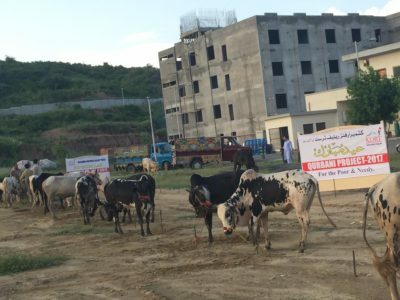 Thank you and well done to all the MUSKORTEERS in Mirpur for managing this project successfully. 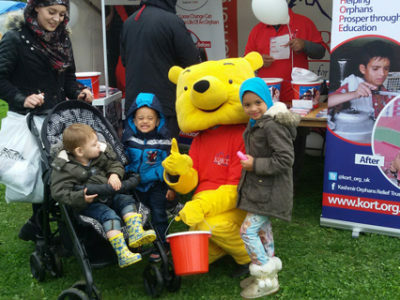 Thanks to Newcastle City Council and the Newcastle Mela Committee who awarded KORT the main slot as a charity to raise awareness about our cause and our orphan children. Our team of MUSKORTEERS from all over the country dedicated their precious time and made all sorts of sacrifices to sell chocolate fudge cakes and raised £52,365.25 for the orphan children of KORT. WE LOVE OUR EID GIFTS! 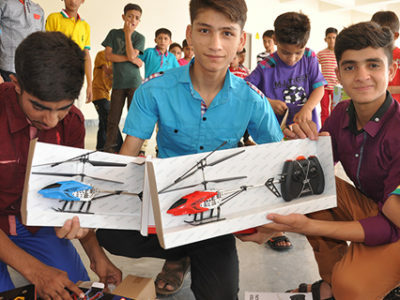 Thanks to our loving donors, each child at KORT received a new pair of clothes, footwear and a toy for Eid. The children were delighted to wear their new clothes and raced to the hall to collect their toys. Ramadhan 2016 was even more special for KORT as it was our first Ramadhan at the KORT Educational Complex! 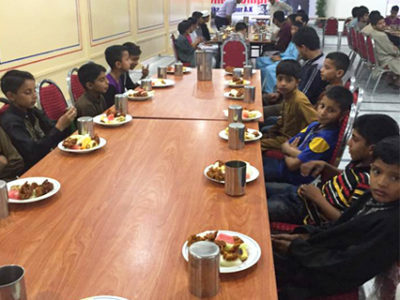 There was a spiritual atmosphere throughout Ramadhan with children fasting, reciting Quran and performing Taraweeh prayers in the evening. 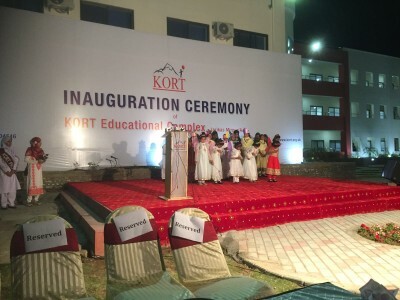 KORT Educational Complex was declared officially open. 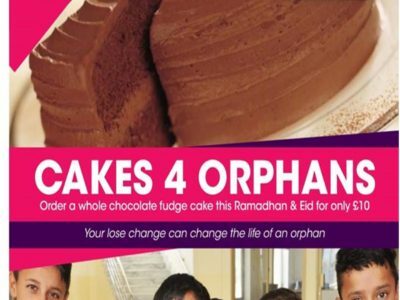 Donate to orphans or Sponsor orphans for Care for Orphans. 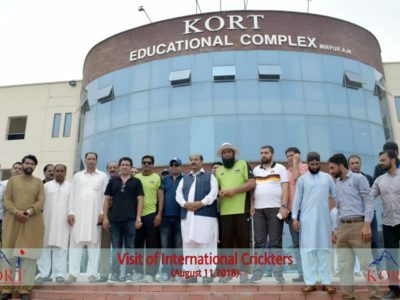 The Former Prime Minister of Azad Kashmir Sardar Attique Ahmed Khan visited KORT to see what we had achieved with the land he generously donated to us back in 2007. WE'VE DONE IT!! OUR ORPHAN CHILDREN MOVE INTO THEIR NEW HOME!! Saturday 27th February 2016 the wait was over. The children woke up earlier than normal and there was an exciting atmosphere building up between them as they were packing their belongings for the move. Some children were overcome with emotions as they were leaving, whilst others had tears in their eyes. 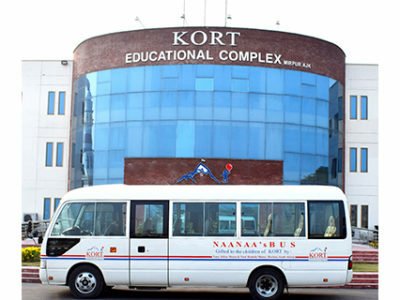 At KORT, we regularly take our children on day trips to help enhance the social, personal and emotional development of the children. 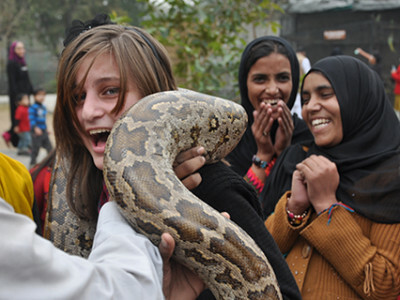 During December 2015 the children were taken to several attractions in Islamabad. We have a responsibility of keeping our children safe from all aspects in our care. For this reason, all of our staff and management team underwent a two day training workshop on Child Protection. 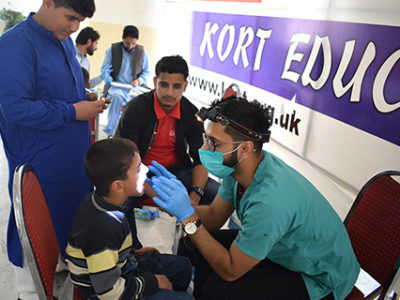 A team of dentists from the Dental Aid Network (DAN), UK, visited KORT in Mirpur to provide dental checks and treatments for our children voluntarily. 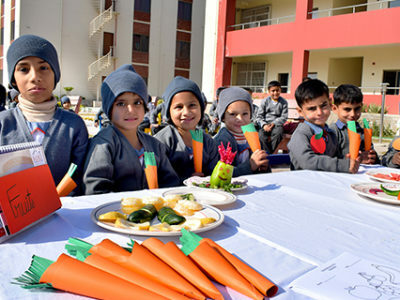 Kort , Orphan Charity Kashmir Celebrate its 10th Anniversary. 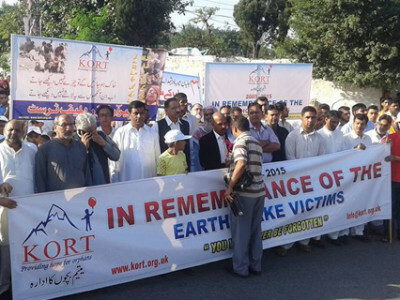 KORT held a rally in remembrance of the earthquake victims which was attended by thousands of people in the city of Mirpur, Azad Kashmir. 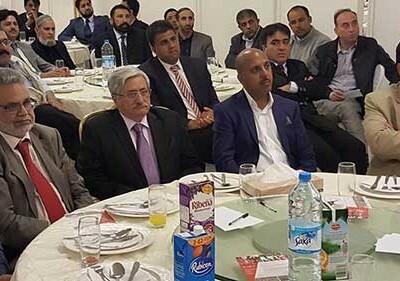 The President of Azad Jammu and Kashmir, Sardar Muhammad Yaqoob Khan came to the UK in May 2015 and attended our event in Leeds as our chief guest. 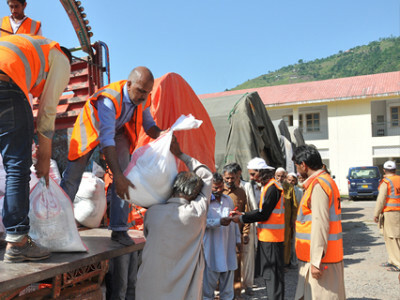 During 2010 one of the worst floods to hit Pakistan in living memory affected millions of people, leaving them homeless and in need. 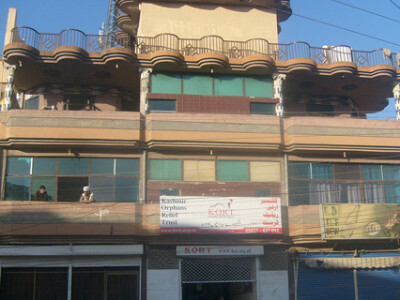 KORT responded by teaming up with the Midland Doctors Association (MDA) and Derby Khidmah Group (DKG). 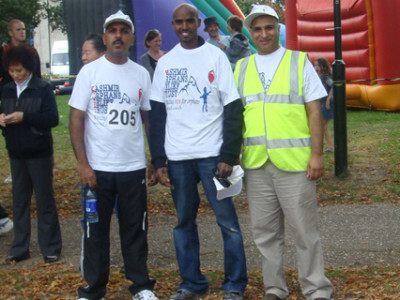 In 2009 the Leicester Marathon was officially commenced by our honourable guest and World Olympic Champion Mo Farah who came to show his support for KORT. The event was attended by adults and children from all walks of life and raised much needed awareness and support for KORT. KORT was given a Parliamentary reception at the House of Commons in London on the 31st of March 2008 by the honourable late Marsha Singh to celebrate KORT’s achievements. KORT was in constant contact with officials in Azad Jammu and Kashmir to lookout for land where we could build a permanent and purpose built home for the children. 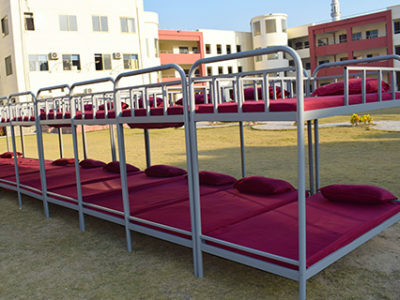 In December 2005, a building was secured to cater for the needs of up to 100 orphan children. Later that month KORT welcomed the first group of children to begin their new lives.